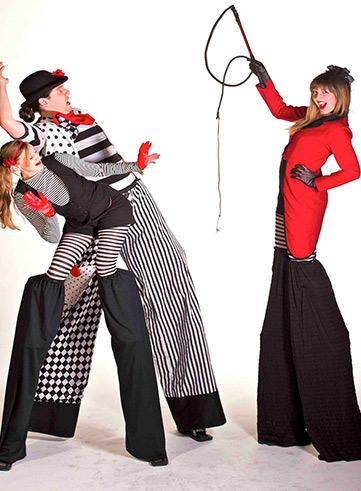 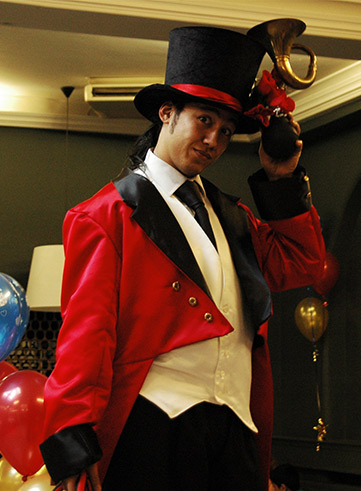 A commanding figure at over 8 foot tall, our ringmaster is sure to keep things in order. 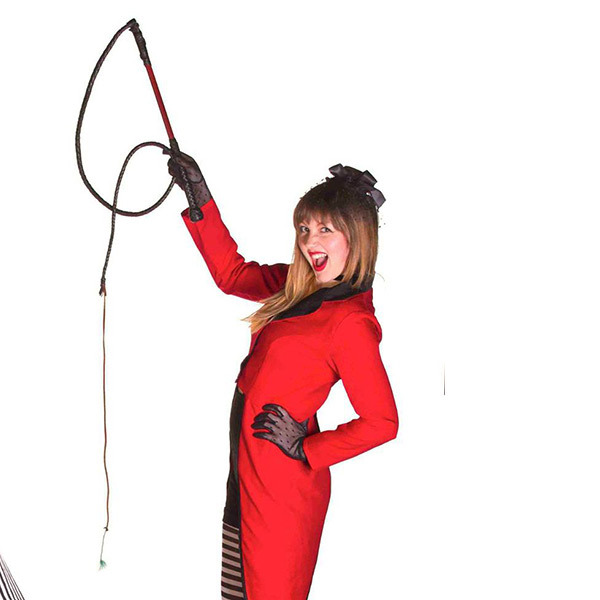 The perfect character to greet your guests – Plus a loud whip crack can easily hurry along any late arrivals! 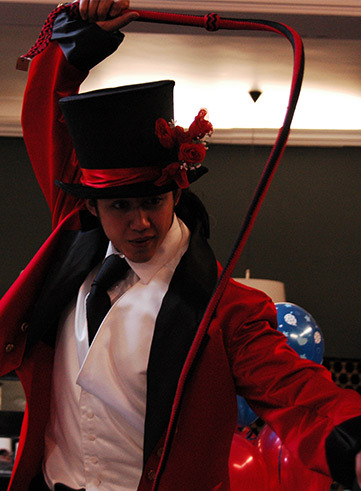 The ringmaster is eye-catching in their red tail coat and top hat, and whether they are posing for photos, or showing off their whip skills, they are sure to be the centre of attention.